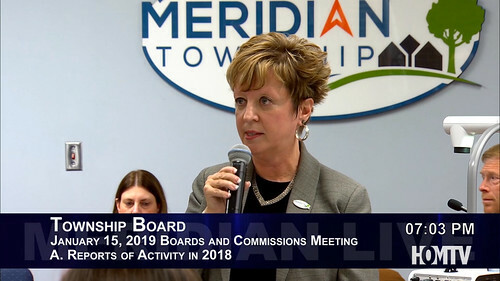 MERIDIAN TOWNSHIP - At the Meridian Township Board Joint Boards & Commissions Meeting on January 15th, the Board heard from representatives of each Commission highlighting the progress on multiple projects and goals. Business retention, the Master Plan and Redi-Ride were among the biggest topics discussed. “We made a lot of progress in 2018 and the heels the adaption of the Master Plan. With a significant help of our Economic Development Director Chris Buck, we advocated for the height and density amendment to the Mixed-Use Planned Unit Development Ordinance in five blocks of our Downtown. This amendment was adapted by the Township Board in May. It will allow a larger variety of development projects to be proposed we also assisted in the development of the Meridian Redevelopment,” said Susan Fulk, Chair for the Downtown Development Authority. “The policies in an application for the Meridian Redevelopment Fund we assisted with the market plan to reallocate to the Meridian Mall, and approved the $50,000 towards the project. 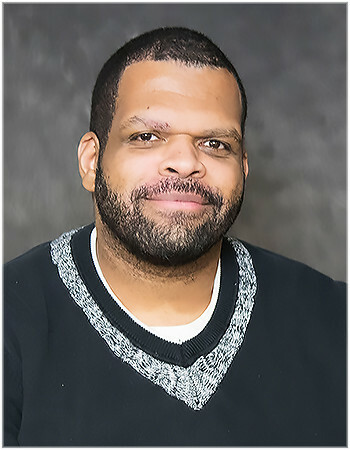 In 2019 we expect to continue advocating for the relocation for the Farmers’ Market Development, we plan to work with the other Commissions and Departments on a program where we highlight Meridian business regularly as a part of business retention and attraction," said Kimberly Thompson the Vice Chair of the Economic Development Corporation. “In November with some of the data the Transportation Commission people were making an impact in terms of people having access during those business those important access it’s focusing on before and after work of jobs access," said Chris Hackbarth Chair of the Transportation Commission when discussing the future of Redi-Ride in the Township.